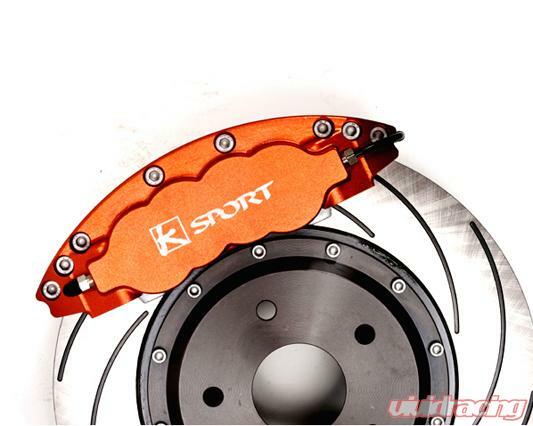 Ksport big brake kits provide the ultimate in stopping power for your vehicle. 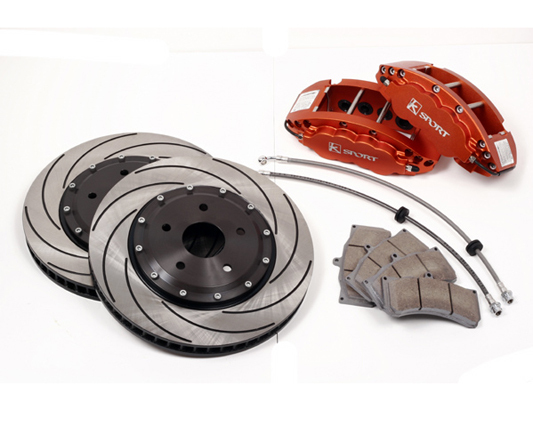 Integrating new brake technology into the design of the kits allows for a kit that highly reduces brake fade and continually cools and refreshes the brake pads surface under braking. 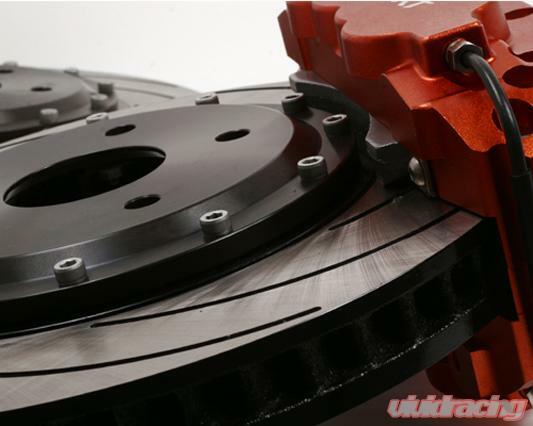 These brake systems are designed for easy installation with minimal tools required (in most applications). 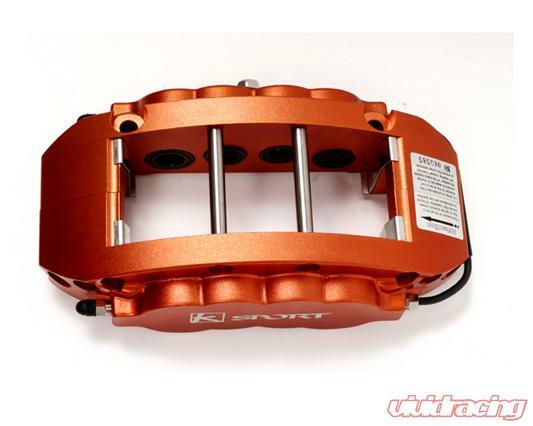 Ksports extreme lightweight caliper comes in differential bore configuration. It is machined from aircraft quality billet, weighs just over 5lbs. each, and has machined in protection grooves for the bridge tubes. Aluminum pistons, high temperature seals, and stainless steel brake pad wear plates are also standard on each caliper design. The opposed piston caliper design greatly improves pad wear and caliper rigidity over the OEM design. The stainless steel brake lines stop expansion under pressure. 400mm (16") large ventilated discs (20" wheels required) .